Endo is reviewing the FDA’s request to remove Opana from the market. The US Food and Drug Administration (FDA) has asked Endo Pharmaceuticals to withdraw its extended relief opioid pain medication, Opana ER (oxymorphone) from the market. The FDA decided that its benefits do not outweigh the risks, and represents the first time the agency has asked for an opioid to be withdrawn because of concerns that it might be abused. The decision came in the light of a realisation that abuse of Opana ER was shifting from nasal administration to injection, increasing the risks of thrombotic microangiopathy and the transmission of viral infections such as HIV and hepatitis C.
The drug had been on the market since 2006 as a long-lasting analgesic, and Endo reformulated it in 2012 to make it more resistant to abuse by snorting or injection. The FDA has now determined that the reformulation didn’t have the desired effect. If the company refuses to voluntarily withdraw the product, it says it will start the process to formally withdraw its marketing authorisation. Endo says it is ‘reviewing the request and is evaluating the full range of potential options’, adding that it remains confident that the product has a favourable risk–benefit profile when used as intended in appropriate patients. Prescription painkiller misuse is part of a much wider opioid problem in the US. They are widely prescribed for chronic pain, and their addictive nature all too often leaves patients hooked. According to the American Society for Addiction Medicine (ASAM), in 2016 two million Americans were addicted to prescription painkillers – four times the number who were using heroin. In 2015, they say, there were more than 20,000 deaths related to prescription opioids, nearly twice as many who overdosed on heroin. Four out of five new heroin users started out with prescription opioids, ASAM says, and shifted to heroin because it was easier to get hold of and cheaper. These statistics are a result of prescription rates for opioids spiralling; between 1999 and 2010, sales quadrupled. The root of this huge increase in prescriptions can be traced back to a 30-year-old study on a small number of patients,1 which also misrepresented other studies, that claimed there were no risks, addiction or otherwise, from long-term opioid use. 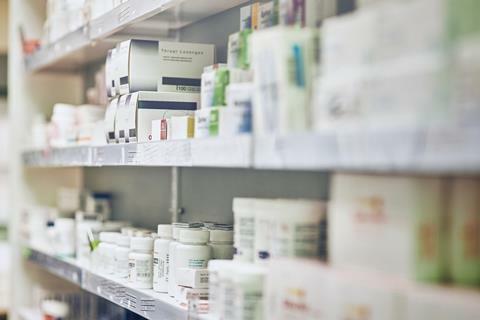 Companies such as Purdue Pharma, the manufacturer of OxyContin (oxycodone), jumped upon the study to justify widespread prescription of their products. Instead of being largely reserved for terminal cancer patients and those undergoing surgery, doctors started prescribing the drugs for all manner of chronic pain conditions, from backache to arthritis. By 2012, annual prescriptions for opioids had topped a quarter of a million. Action is being taken at a national level, too, with Donald Trump announcing in March that New Jersey governor Chris Christie will lead a president’s commission on combating drug addiction and the opioid crisis. And despite all the expected budget cuts, the Department of Health and Human Services is giving nearly half a million dollars in grants to the states and territories for prevention, treatment and recovery services. More than 80% of the global opioid supply is consumed in the US, he says. ‘You’d be hard pressed to say that US citizens experience that much more pain than citizens of other countries,’ he says. ‘Our prescribing practices have contributed to this pervasive problem over the past couple of decades.’ Most of the people he sees can trace their addiction back to a prescription for opioid analgesics.